Grimentz has been a hidden gem for a long time but thanks to the new cable car linking with Zinal this traditional village with its blackened wooden grain stores will not be a secret for much longer. The village has its own speciality, vin de glacier, created by pouring the new season’s wine into barrels containing the remnants of older vintages. 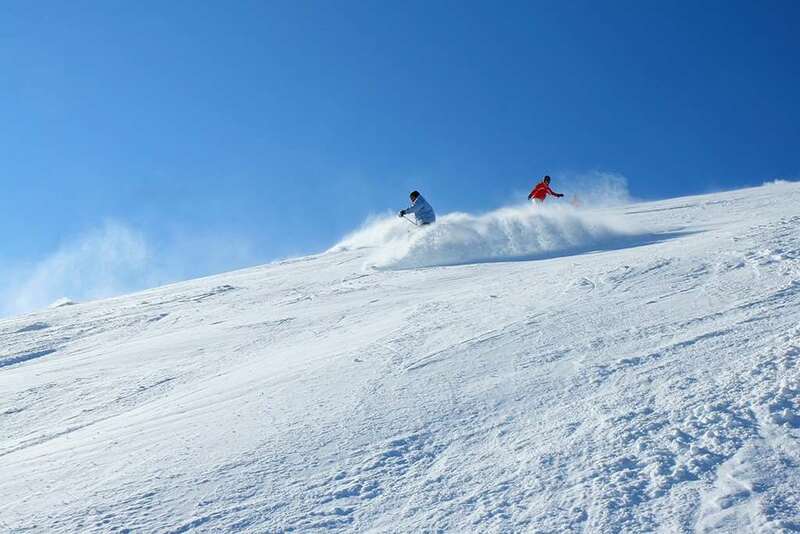 The quiet pistes are great for beginners to build their confidence on whilst more experienced skiers and boarders will have a fantastic time exploring the incredible off-piste areas. There is a snow park with snowcross pistes at Bendolla, cross-county trails at Zinal and Vercorin, plus a variety of winter walking trails and a toboggan run for those not wanting to ski. 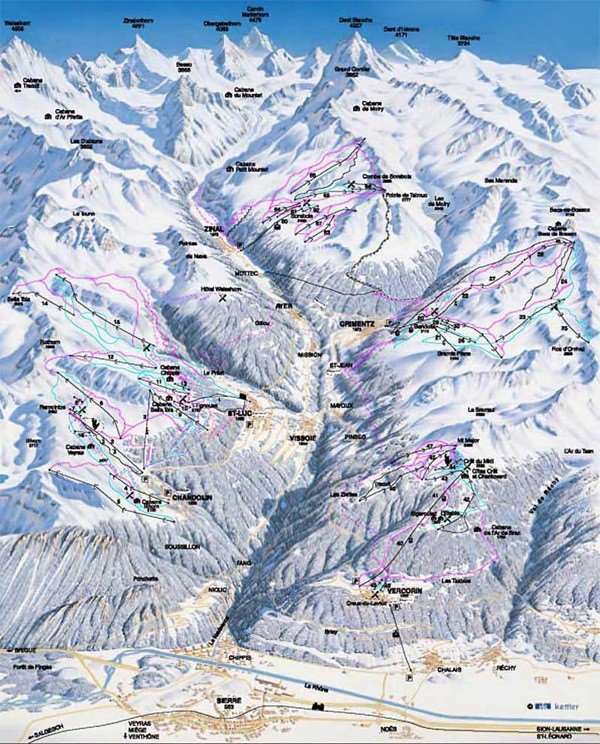 The linked areas of Grimentz and Zinal offer 120km of pistes, with another 100km accessible by bus at neighbouring villages Vercorin, St Luc and Chandolin. There are 70 snow cannons covering around 13 km of the Grimentz pistes which is around 60% of the ski area which adds to the natural snowfall for extra guaranteed skiing throughout the season. Off the slopes there is plenty to do with a wide choice of restaurants, bars and nightlife. For après ski into the early hours there are a number of pubs open late, and if you're looking to hit the dance floor, check out Disco Shadock. Bern (BRN) is the nearest international airport to Grimentz which is around 197 km away accessible via car or bus transfer. I couldn't help but fall in love with this charming old village, but it was the skiing that knocked me out. The ski area doesn't look large on paper, but with neighbouring Zinal and St.Luc there is loads to go at and the slopes are much quieter than bigger resorts, even in high season. We went off-piste with a guide for a few days and didn't see another track. Pretty quiet in the evenings - a reasonable choice of restaurants, a couple of bars and a night club, but enough for a week with a group of friends. Probably shouldn't tell too many people about this resort - it'll spoil it if too many people go! I thought Grimentz was very nice, and I skied a lot!